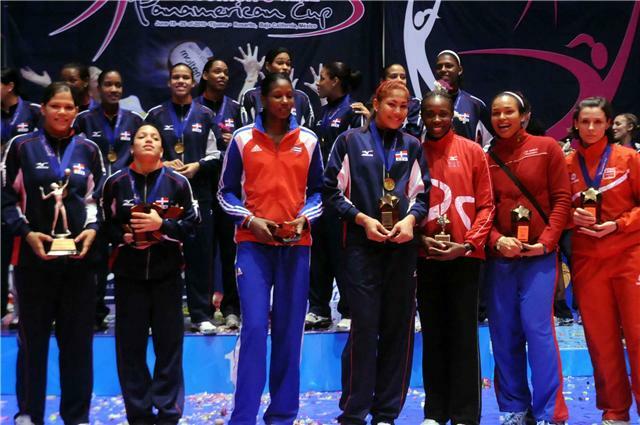 TIJUANA, Mexico, June 26, 2010 – Prisilla Rivera of Dominican Republic was selected as the Most Valuable Player of the Pan American Cup won by her side with a victory over Peru on Saturday in Tijuana, Baja California. The hard-hitting Dominican is used to this kind of awards since she won MVP honors at 2009 NORCECA’s Continental Championship and earlier this year during the Queen’s Cup in the Spaniard League. Teammates Brenda Castillo and Lisvel Eve also received trophies during the closing ceremony. Castillo was the choice as best receiver, best digger and best libero while Eve won the best blocker award. Cuban Kenia Carcaces was the best scorer, Puerto Rican Sarai Alvarez resulted in the best spiker and Trinidadian Kelly-Anne Billingy the best server. Peruvian Elena Keldibekova took home the honor as best setter.